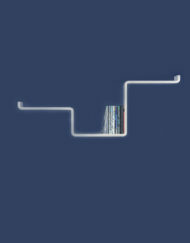 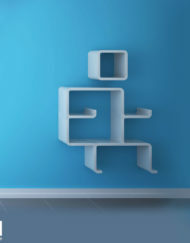 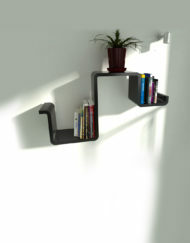 The EX2 modular wall shelving system adds form and function to any wall in your home. 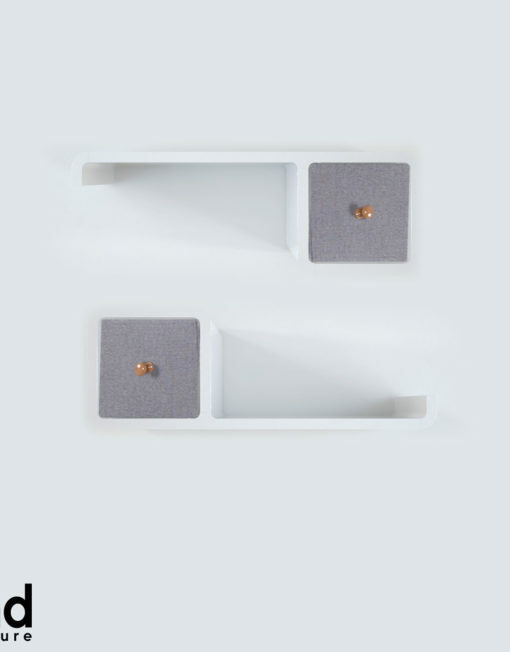 The system consists of two separate decorative shelving units that are a combination of a cubicle with drawer and a side shelf. 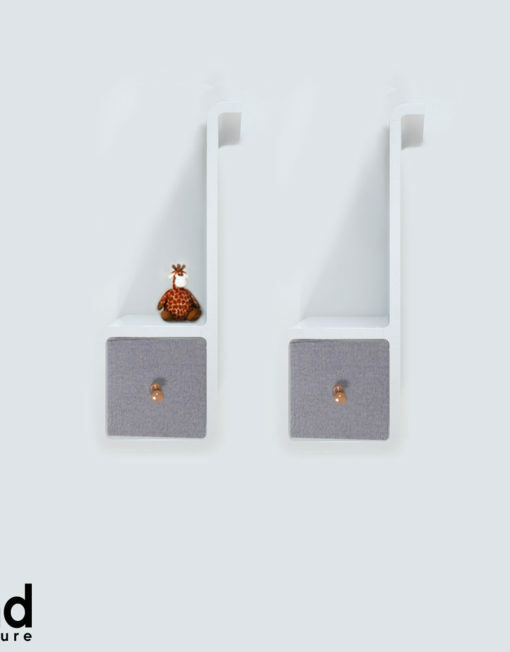 You can add the cubicle to the left of the right and use the provided drawers to safely store away small items . 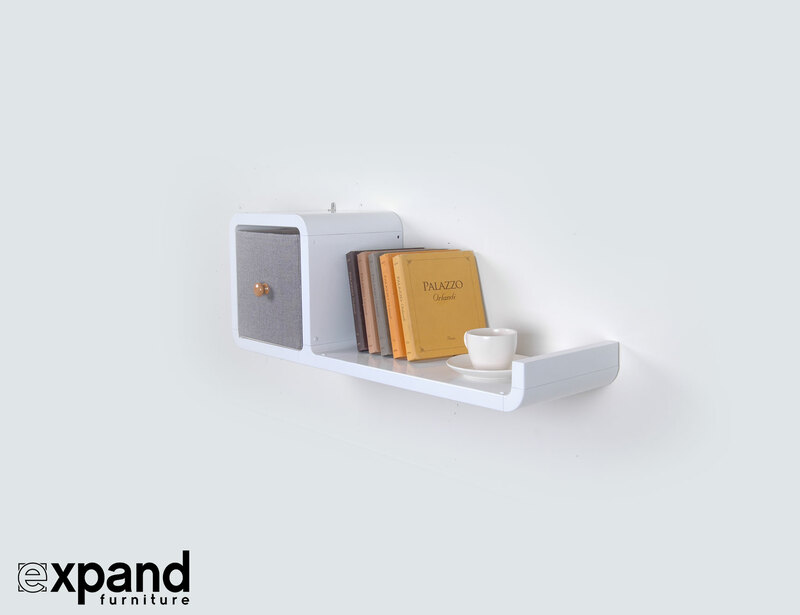 The curved end of each shelf can face up to provide additional support for your books or other items on display, or down for a funky, spoon like look. 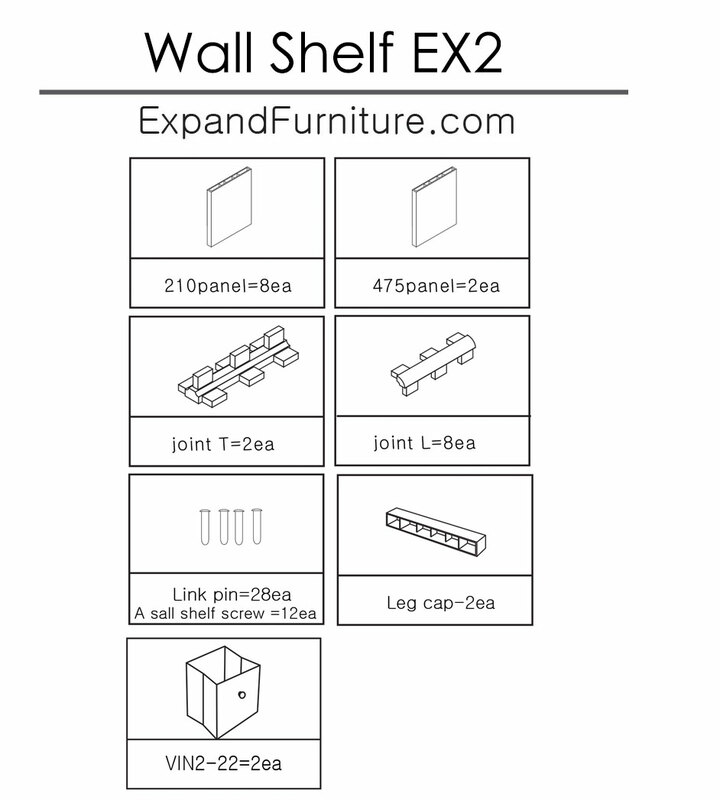 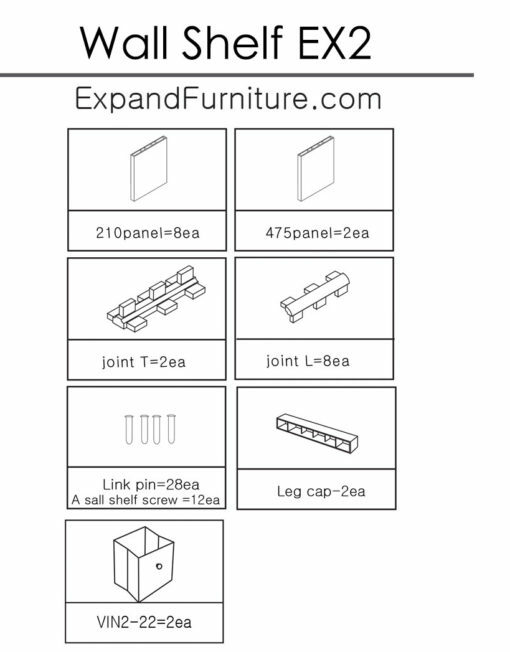 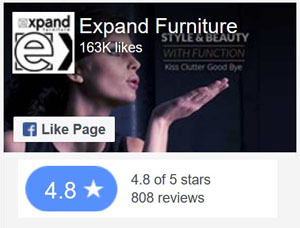 The modular EX2 design is available in white finish with soft gray drawers that collapse when not in use. 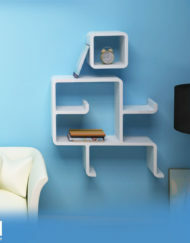 The shelves look great side by side above each other or facing each other. 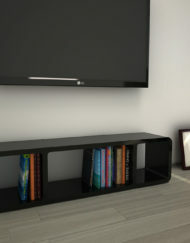 This little set offers a surprising amount of storage and style options. 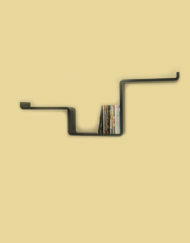 Lightweight, but strong enough to securely hold all your books or collectibles. 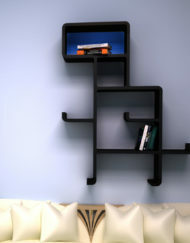 The style is simple and yet surprising. 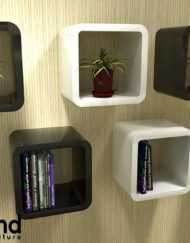 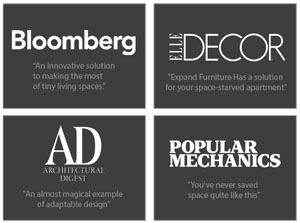 This Expand modular system defined wall storage with a modern twist. 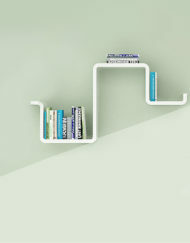 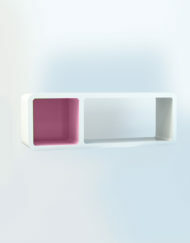 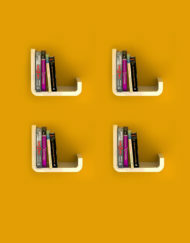 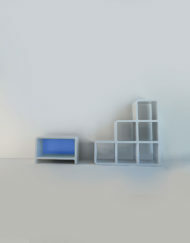 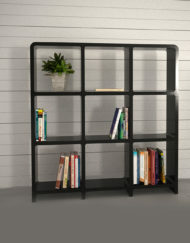 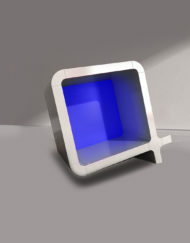 The EX2 shelf combo is a fun modular set that will brighten up any area of your home with its light and stylish design. 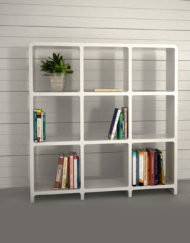 It will safely house your small items, photo frames, plants or books in your living or above the couch or TV. 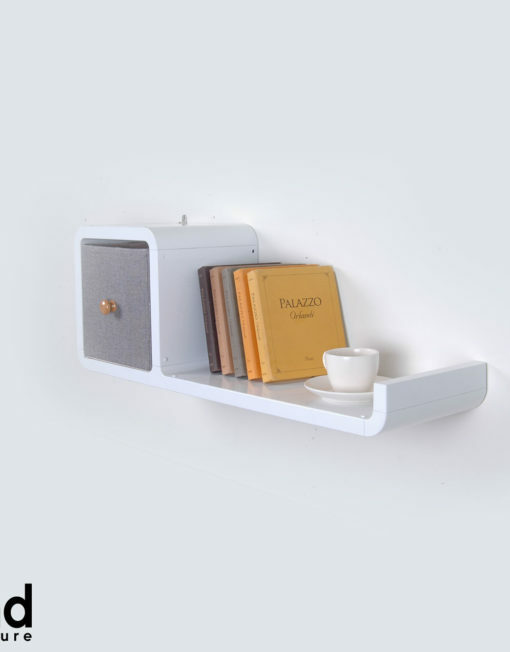 But maybe you want to turn the ensemble sideways, so that the vertical layout makes it appear like musical notes, and put it in your music room for a funky way to display your CD collection and store your guitar picks in the drawers. 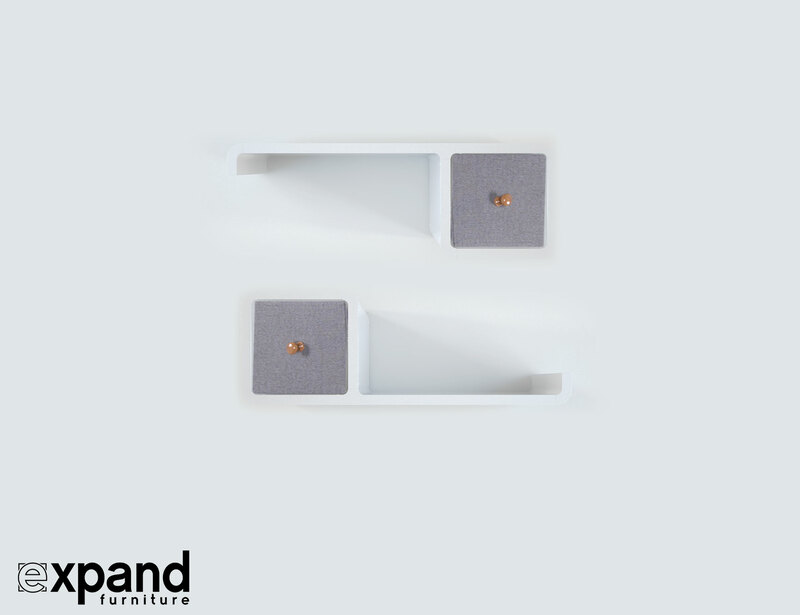 The flexible storage system even makes for suitable bathroom storage, because the water resistant material is easy to clean and tolerates moist spaces in your home exceedingly well. 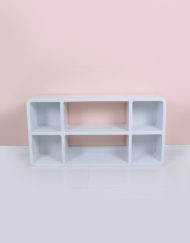 The shelf surface makes a great place to put a mirror or styling tools while the drawer units keep small cosmetics safe and out of the way. 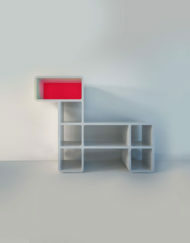 Of course, the Ex2 modular duo also adds storage possibilities to your home office or children’s rooms. 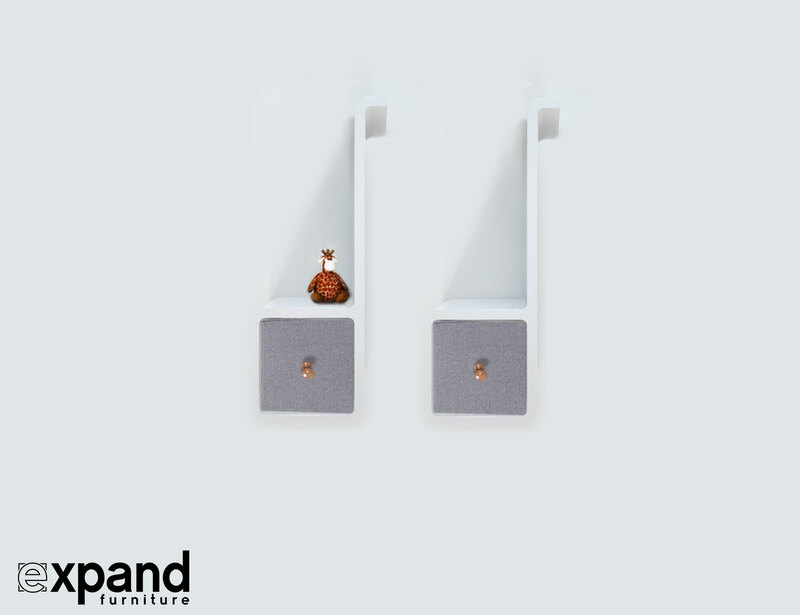 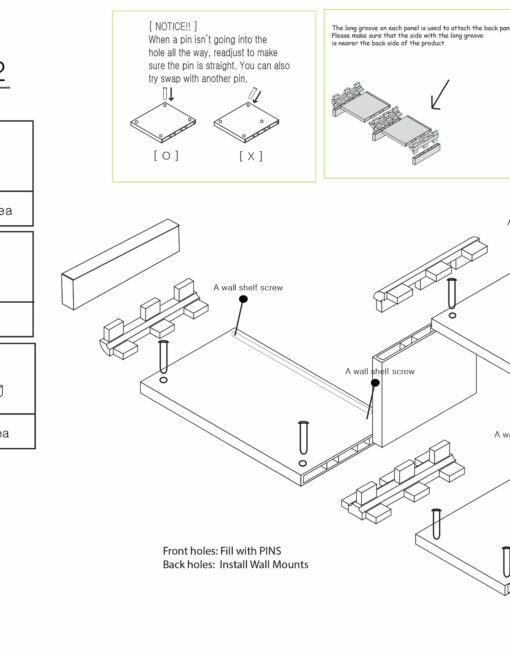 Of course, you can break EX2 up into its individual components and create one really long shelf, a multi level shelf, cubicles to place on the floor or combine this fun duo with any other of our creative modular shelf designs. 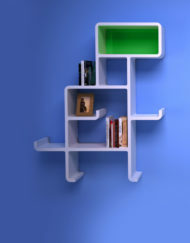 A modular storage shelving that is anything but dull, the EX2. 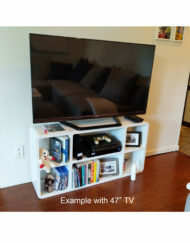 There are 2 units in this set. 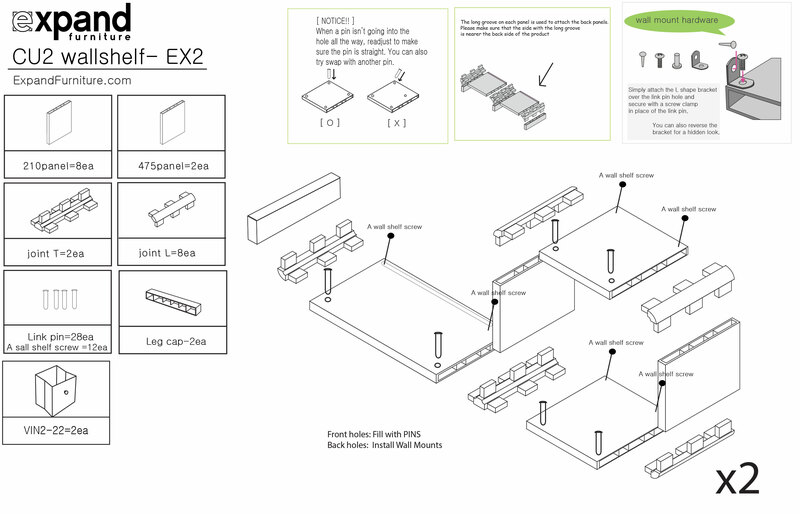 1 of the assembled EX2 shelves, including the cubicle, measures 80.5 cm (31.7 in) in length and 29 cm (11.4 in) tall.